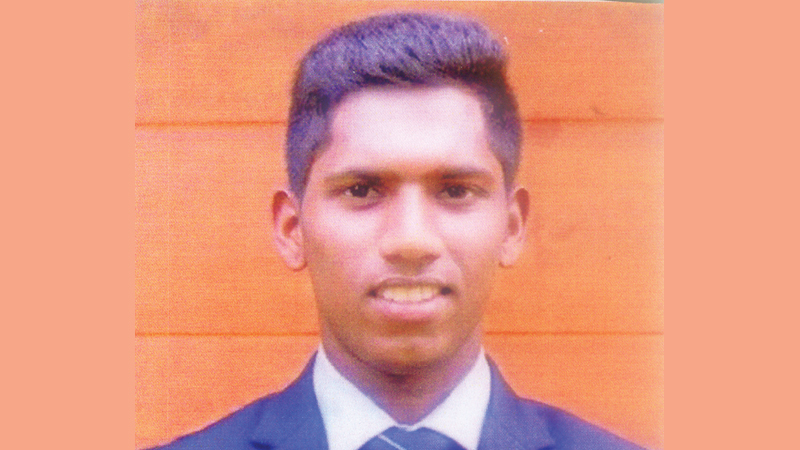 A brilliant 114 runs by captain of Moratu Vidyalaya and Sri Lanka Under 19 player Nishan Madushka guided his school to beat St. Mary’s College Kegalle by and innings and two runs in their match worked off at Kegalle. Nishan hit sixteen fours and one six and occupied the crease for 140 minutes and faced 126 balls. Also he was associated in a valuable partnership for the second wicket with Chanuka Pushpakumara who contributed 18 runs. So far Nishan has collected 981 runs in the on going cricket season with five centuries and three fifties. He has three more matches to score the magical 1000 runs. Batting first Vidyalians scored 226 runs and in reply Kegalle Marians were all out for 101 runs and following on they were shot out for 114 runs with Gajitha Kotuwegoda scoring 52 runs and Chamalka Pushpakumara claimed 4 for 8 runs. Moratu Vidyalaya – 226 in 51 overs – (Nishan Madushka 114, Hashen Adithya 22, Ishan Weerasuriya 3/65, Akalanka Pethiyagoda 2/22. Maleesha Serasinghe 2/36). St. Mary’s Kegalle – 110 in 52.4 overs – (Dishan Karunarathne 31, Nadith Misendra 3/28 and 114 – Gajitha Kotuwegoda 52, Dineth Weerasuriya 26, Chamalka Pushpakumara 4/8).